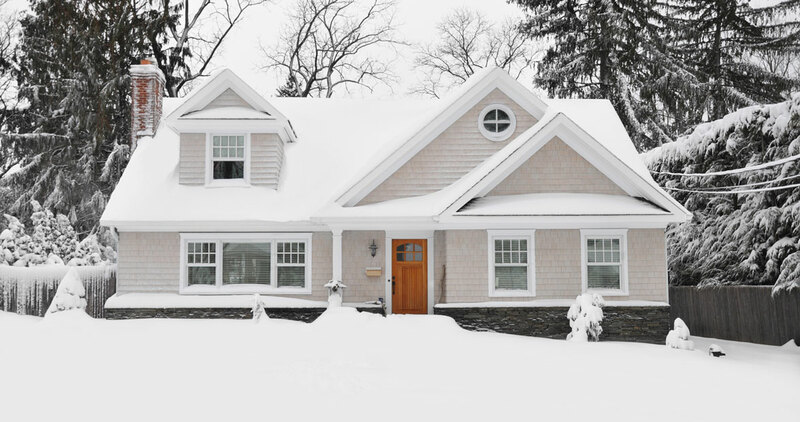 Follow these simple steps to winterize your home and prepare it for freezing temperatures. As arctic blasts rattle our windows, it’s time we snuggle close indoors. It’s also the time that our power bills surge. Even with outside temperatures dropping, it’s not too late to take a few minutes to buffer our homes — and budgets — from the frigid air. Here are five fast and inexpensive steps you can take to keep your home and power bill bundled up tight this winter. “Insulating water lines is a must — as well as knowing where the water shut-off valve is, should a pipe burst,” Kirby says. To protect exposed water pipes from cold temperatures, purchase foam-rubber pipe insulation. It’s easy to install; just slip the insulation over the pipe you want to protect, peel away the backing strip and press the adhesive surfaces together. Close that fireplace damper. Great for cozy evenings, fireplaces can also serve as corridors for heat loss when they’re not in use. Run ceiling fans in reverse. The sources of lazy summer afternoon breezes have switches that rotate the blades clockwise instead of counterclockwise, pushing down warm air pooled above and shaving as much as 10 percent off our power bills. Stop the drafts. Weather stripping, rolled-up towels, and even old neckties can be placed under doors and window seams to reduce drafts, which can waste between 5 and 30 percent of your home’s energy use. Seal up that drafty attic access as well — and consider hiring a professional to insulate your ductwork, as 10 to 30 percent of heated or cooled air can escape from uninsulated ductwork.